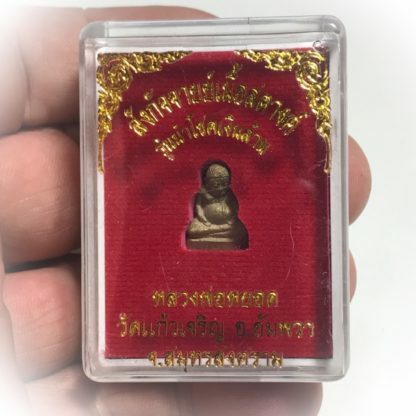 Sacred Pra Sangkajjai Buddha Loi Ongk Statuette with Muan Sarn Sacred Powders stuffed into the base, from the Choke Ngern Larn (Luck of a Millionaire) Edition of 2536 BE, blessed by Luang Por Hyord of Wat Gaew Jaroen. 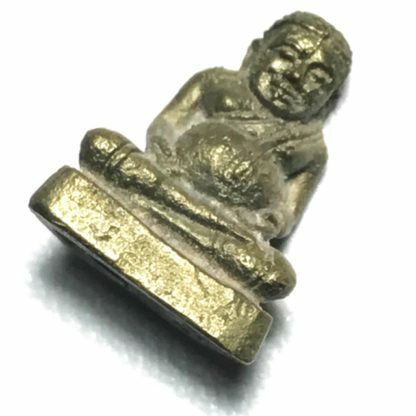 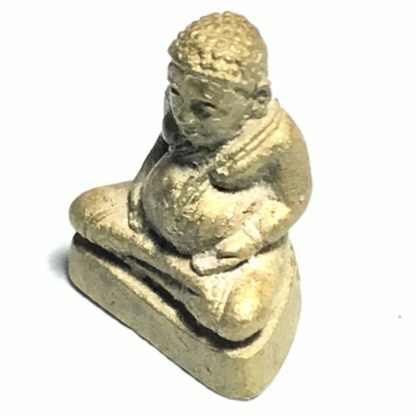 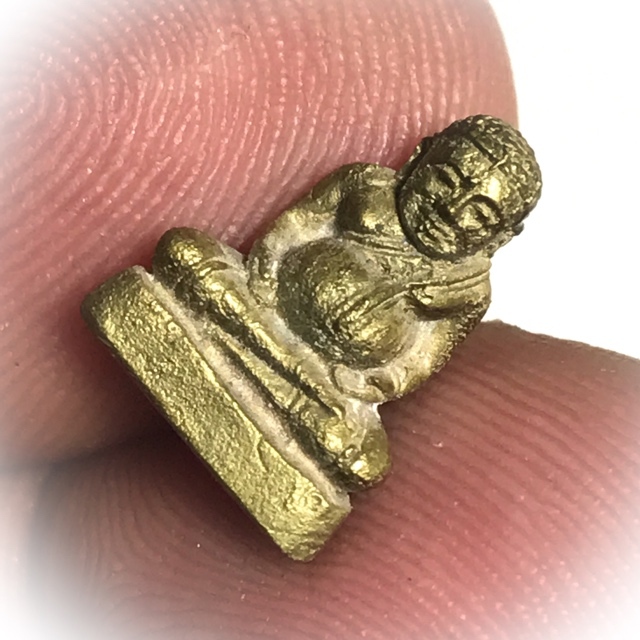 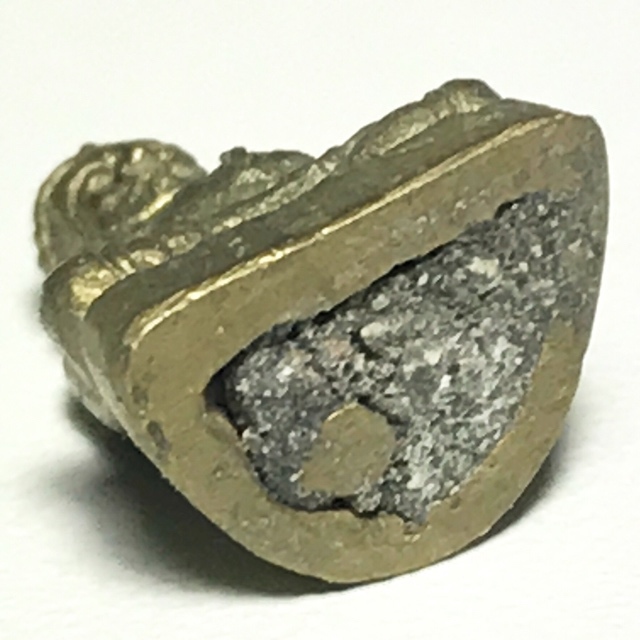 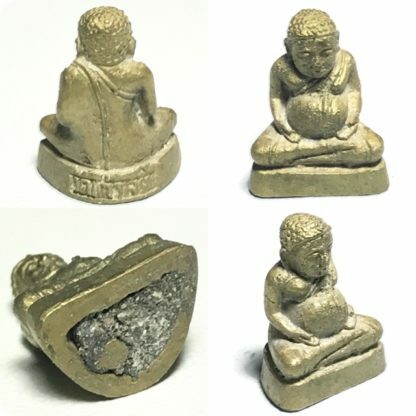 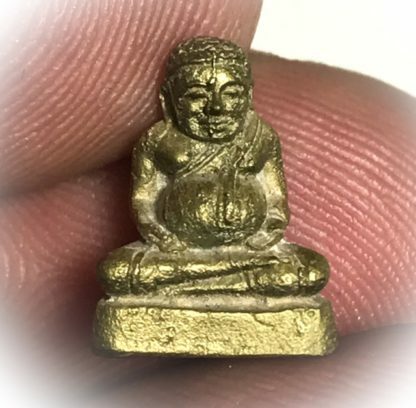 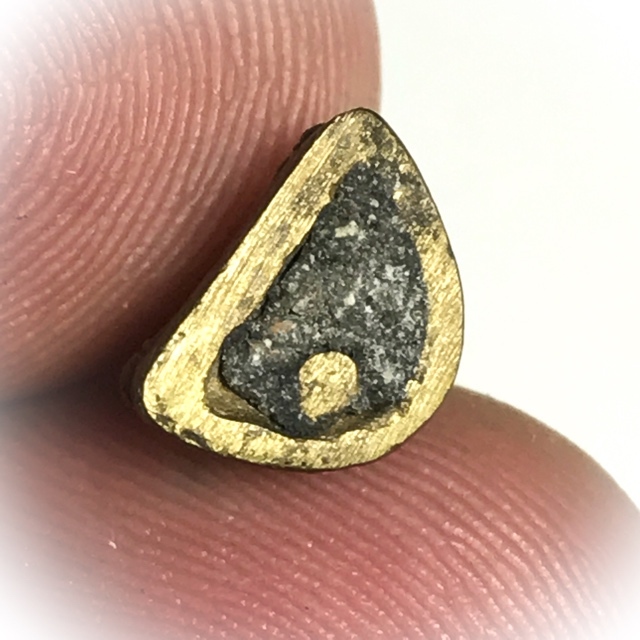 This model is in nuea sadtang (penny brass) sacred artifact alloy, and is a Pim Lek, measuring a tiny 1.3 Cm high x 1 Cm wide base, making this amulet perfect for ladies, children or those seeking a very petite amulet. 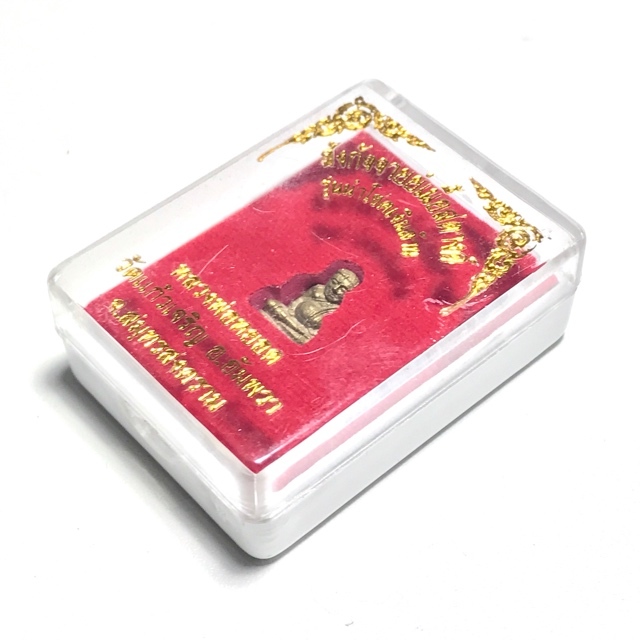 Pra Sangkajjai is one of the most popular amjulets for Powerful Maha Lap, Metta Maha Niyom, Maha Pokasap and Maha Sanaeh Power. 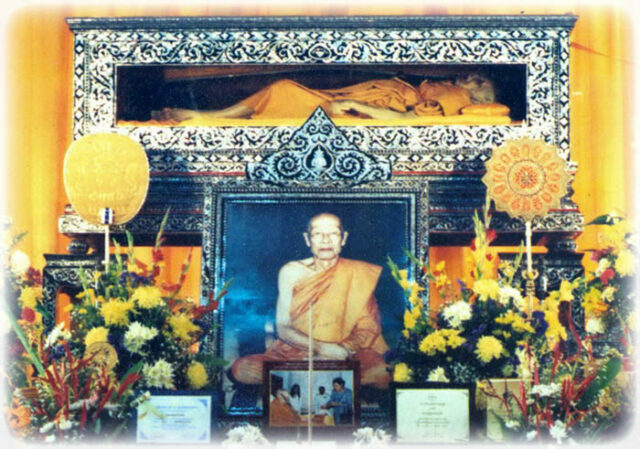 Pra Sangkajjai represents one of the Pra Sidtisawok Aedtakka (One of the Buddha’s the most admired and praised practitioners). 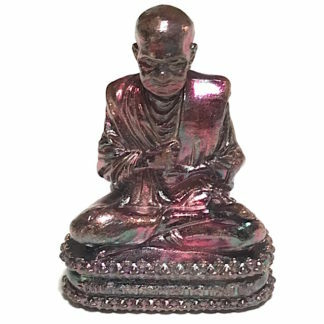 The Buddha praised him for his ability to put long complex teachings into short understandable formulas. 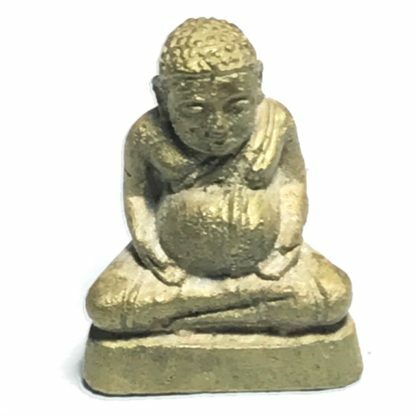 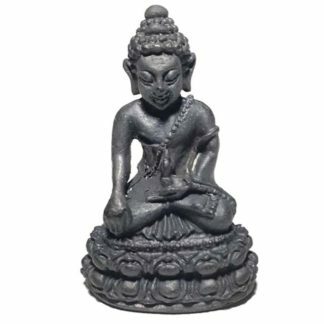 He has a golden tinted skin complexion, and was originally so similar in appearance and stature to the Lord Buddha, that sometimes people would mistake him for the Buddha if seen from a distance. 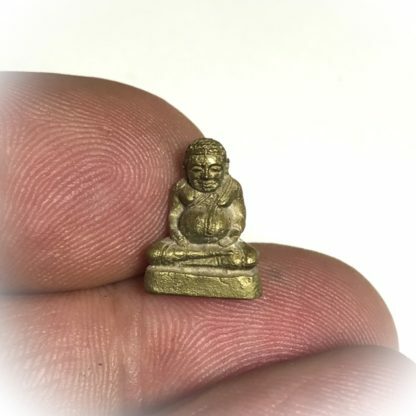 For this reason, he used his mind powers to force his body to grow fatter and not so handsome as before, in order to not confuse others if he was the Buddha or not. 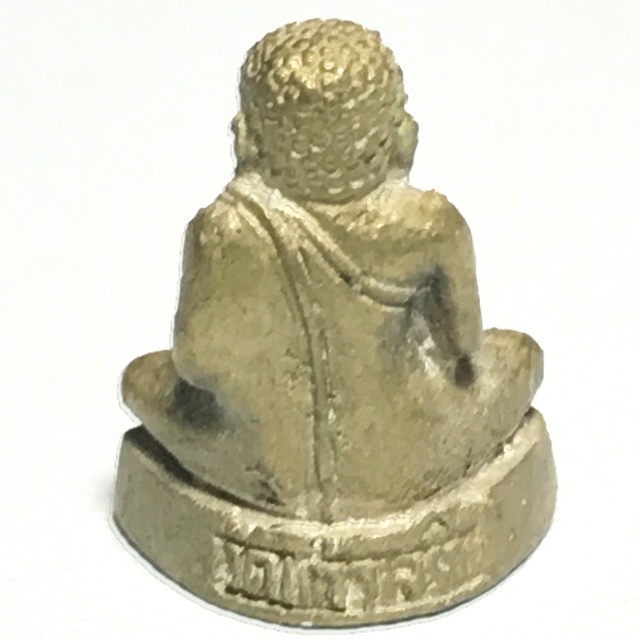 The ancient masters would often use the visual symbolism of Pra Sangkajjai’s features to create statues in this image, which has served as an important preserver of the Faith over the Centuries, and a very old form of Buddha image dating back to the early times of Buddhism. 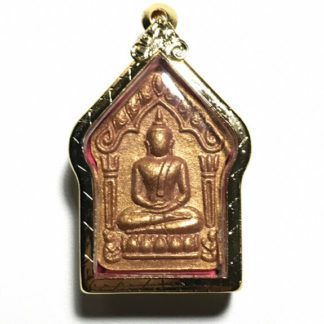 Pra Maha Sangkajjai was originally called ‘Ganjana’, which means ‘Gold’ in Pali. 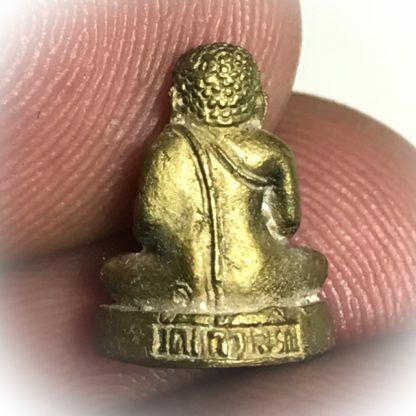 He was the son of a Brahman called Bpurohidtgajjayana Kodtra in the City of Usenni. Pra Sangkajjai had 7 close companions who came with him, to attend the Buddhas teachings at Wat Weluwanaram, and after listening to the Dhamma, becamse Arahants instantly and asked to ordain. 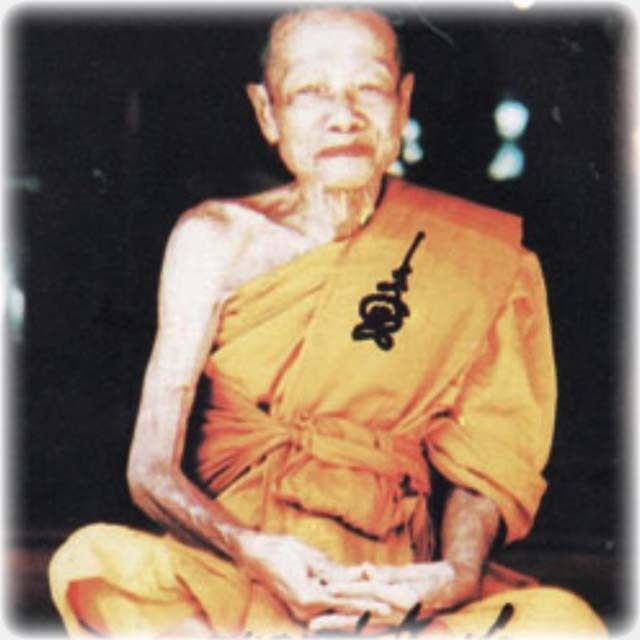 In the Turasutra it is mentioned that Pra Sangkajjai lived to the age of 120 years old. 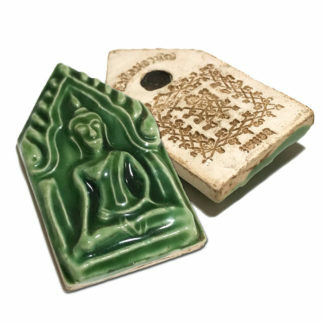 Pra Sangkajjai Amulets. 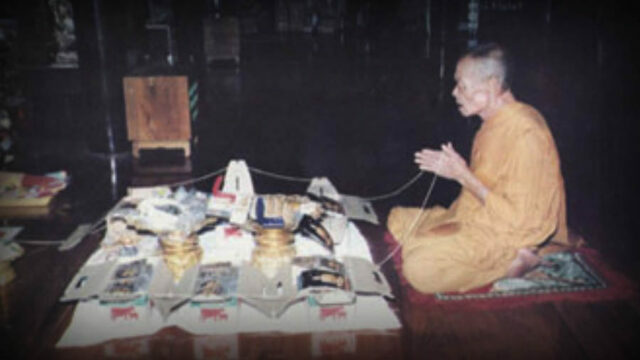 Pra Maha Sangkajjai was originally called ‘Ganjana’, which means ‘Gold’ in Pali. He was the son of a Brahman called Bpurohidtgajjayana Kodtra in the City of Usenni. 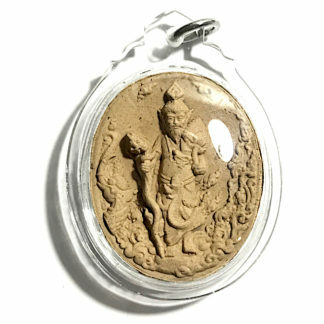 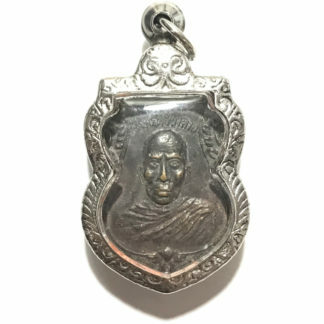 Luang Por Hyord, of Wat Gaew Jaroen is a Great Deceased Master of the Samutr Songkram Province, whose amulets are extremely powerful and preferred in the amulet scene . 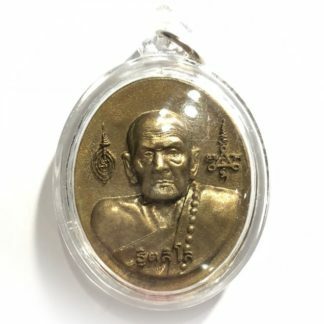 Luang Por Hyord’s ability to empower amulets with Kong Grapan Chadtri Klaew Klaad Metta Maha Niyom Maha Lap Maha Pokasap magic was legendary, and his many kinds of amulets are all extremely favoured, and seldom seen in circulation, for they are mostly all long since in the collections of devotees. 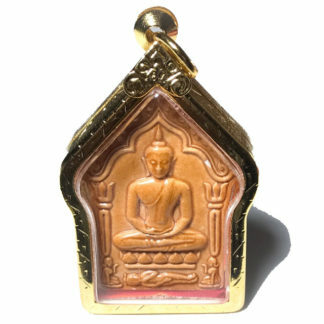 The amulets of Luang Por Hyord are immensely favoured in the central region of Thailand, and of course extremely so in the Samutr Songkram Province above all. 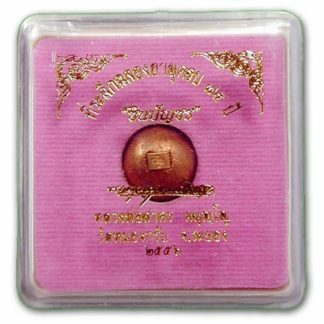 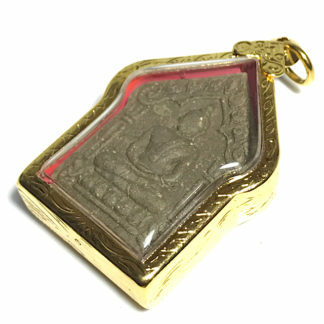 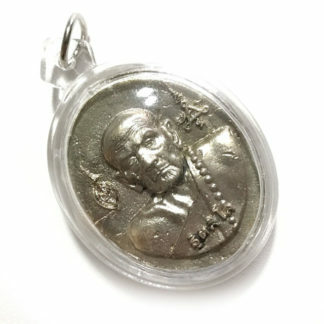 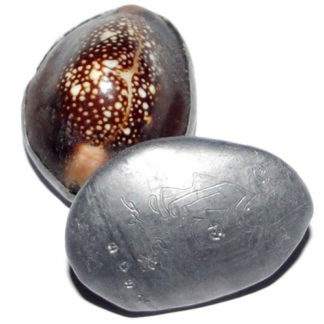 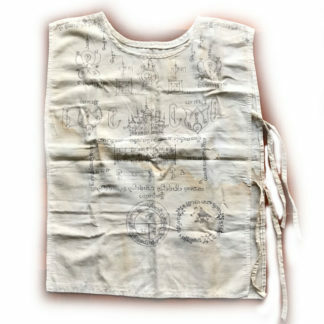 Many of Luang Por Hyord’s amulets are purely Buddhist and preserve the classic forms of Thai Buddhist Votive tablets. 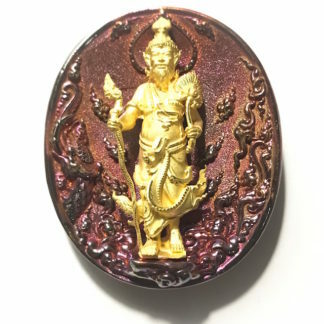 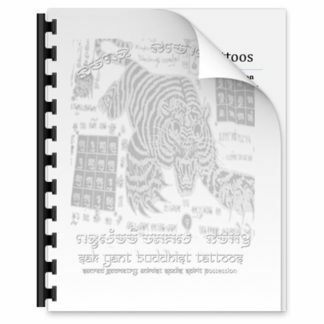 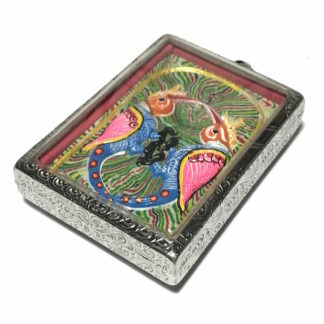 His occult charms and talismans such as his Takrut are legendary for their Klaew Klaad Kong Grapan Chadtri Maha Pokasap power, especially those which use his Wicha Hmai Jet See rainbow silken spellbound cords.